TechPowerUp recently released their latest version of GPU-Z, version 0.7.7, that includes new features and of course support for the latest GPUs, as well as fixed some bugs and inaccuracies that the previous version was reporting. 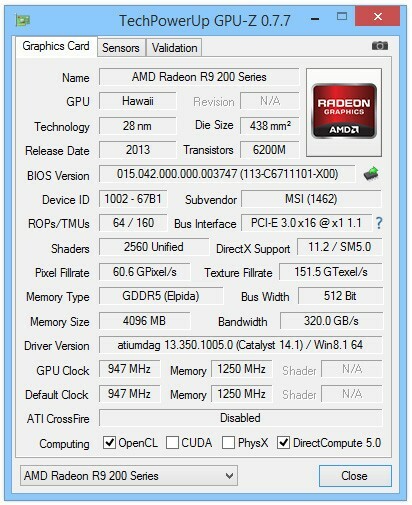 TechPowerUp GPU-Z 0.7.7 now fully supports the yet to be released NVIDIA “Maxwell” GPU architecture. If you have seen some of the leaked GPU-Z of the upcoming GTX 750 and GTX 750 Ti, you might have noticed that the CUDA Cores and TMU counts were not accurate. 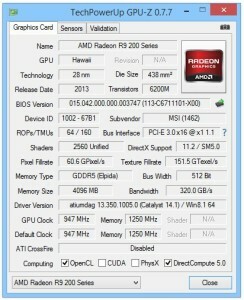 The GPU-Z 0.7.7 should be able to read those graphics card without any problems. 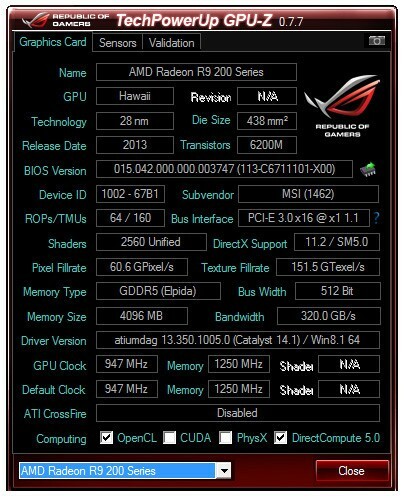 This new version also supports the upcoming NVIDIA GeForce GTX 860M, Tesla K20Xm and AMD Radeon HD 8210. And for AMD graphics cards that are based on Curacao and Pitcairn GPUs, the support for CHIL 8214 voltage controller is improved. Like the previous versions, the TechPowerUp GPU-Z 0.7.7 is available in the standard theme as well as with the ASUS ROG skin. You can download the standard theme here, while the ASUS ROG skin here.